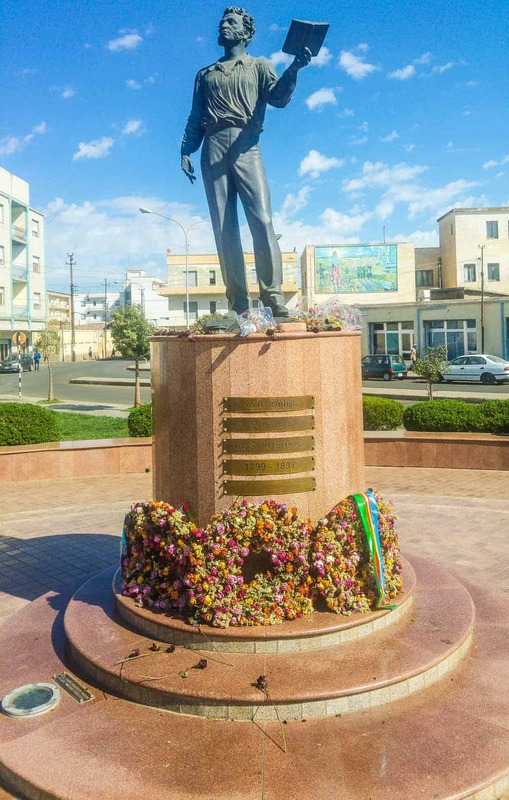 Asmara is the charming capital of Eritrea that will surprise and impress you. In fact, you will think that you are in a small town in Italy and not in the capital of a country that is among those topping the list of the world’s worst human right together with countries as Libya, North Korea, Sudan and Somalia. Asmara got promoted to the capital city of the Italian Eritrea colony in 1889 and started to grow rapidly. It´s impossible to walk around the streets of Asmara today and not see an old Italian building dating back Italian colonial time. The old Opera in the capital is now a coffee shop and an internet cafe. Today it´s the biggest city in the country and home to close to a million people. It is located in the Eritrean highlands at an elevation of 2,325 metres (7,628 ft). So while the days are warm and sunny, nights can be chilly and even down to minus degrees most of the year. Asmara is something special when it comes to being a big city in Africa. You will not find any garbage lying around in the streets. The city is very clean and during night time you can look up and watch the stars since the population is really less in the city. There are a handful of cars in the streets hence you can just walk right out into the main street and take a photo of the palm tree covered boulevard without getting hit by a car. If there´s a car or two coming, they are polite enough to let you finish your photo session. No problem to walk into the main street and take a photo. 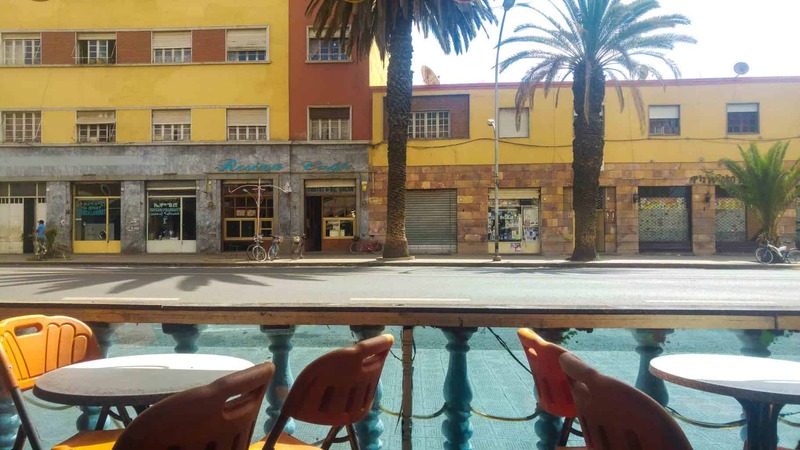 I will probably get criticised for this, but Asmara is a likeable city and one of the most charming city´s I have ever visited, and far from the human right nightmare it´s supposed to be. 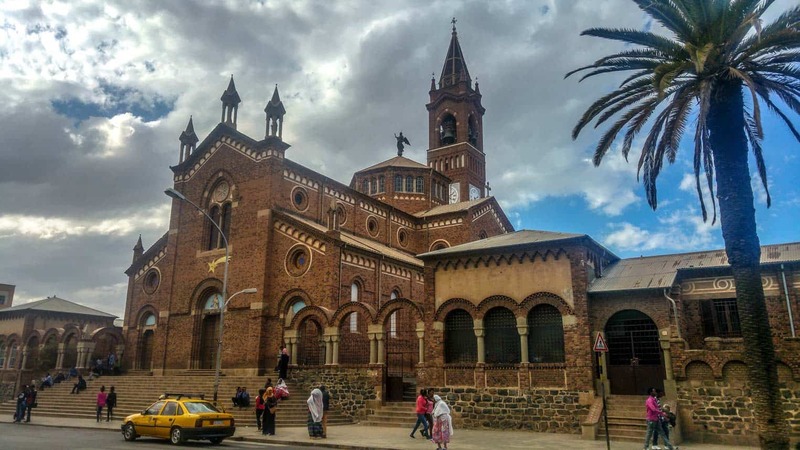 The St. Joseph’s Cathedral on the main street of Asmara. And yes you are allowed to freely walk around Asmara 24/7 a day and no guide is needed for this part of the country. According to the GPS tracker on my phone, I walked 47.2 KM around the city during my visit. 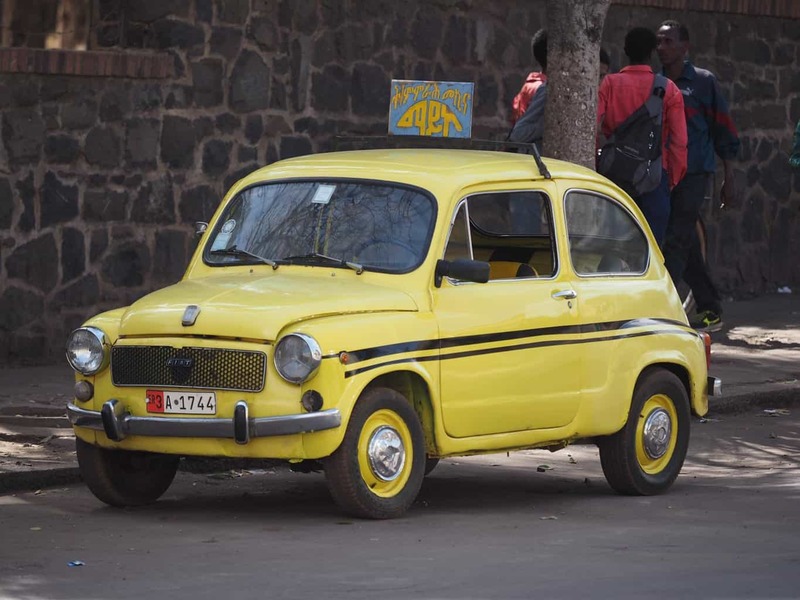 A typical Taxi in Asmara. Cute right? I did not encounter any police or any kind of trouble, also no one ever stopped me from taking a photo. The biggest disappointment when visiting Asmara is the fact that the most top rated restaurants on TripAdvisor have been closed for a long time. Also, most of the top-rated things on Wikitravel has also been closed for years. Speaks of a sorry state of the travel information online. So what does the capital of a dictatorship has to offer? Some of the best coffee houses in the world, and a bar on every street. Small Fiat cars operate as taxis and the legendary Volkswagen beetle is a common car in the streets. While walking around the backstreets will you feel like you are in an Italian neighbourhood because of the structures of the houses. Even the streets have Italian names like Bologna street and the restaurants are named “Milano”, Napoli and Dolce Vitta. Enjoying a coffee and a beer at a streetside cafe. 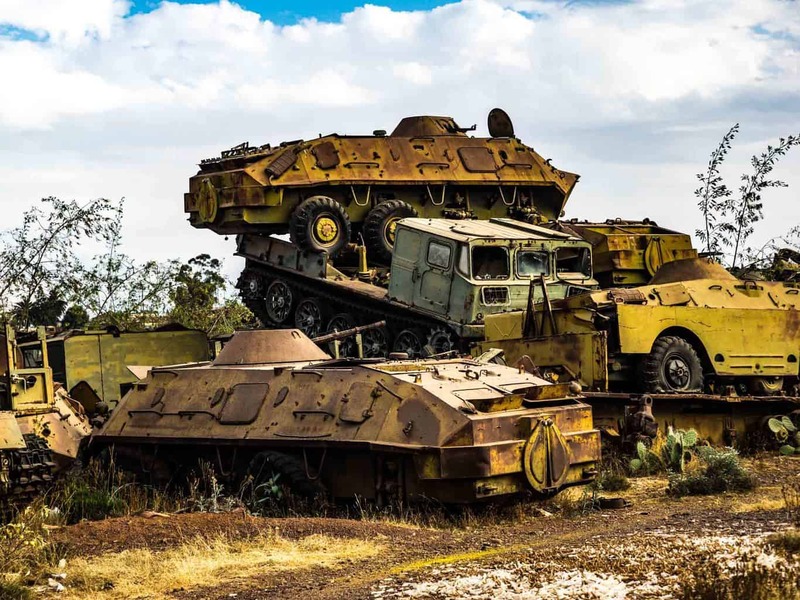 Asmara might lack famous tourist sites, but they certainly have some interesting ones, like the infamous Military Tank Graveyard, or a Fiat Service Station dating back to 1939. The famous Fiat Tagliero Building. Or surprisingly a statue of the famous Russian writer Alexander Pushkin? The statue of Pushkin in the capital. Do visit one of many colonial Italian Cinemas around the city which are now used to screen English Football during the weekends. You can also visit a church or Mosque. The most popular choice is the St. Joseph’s Cathedral, the huge building located on the main boulevard in the city. Don’t miss it! Bravehearts can try some more exciting climbing illegally onto the roof of the Nayla hotel which is the tallest building in the country to get a great 360 view over the city. According to Wikitravel, it supposes to be a rooftop bar at the roof of the Nayla Hotel, but that´s many years ago. The bar looked like it had been closed down for years. If you still want to get the view, get set to walk the stairs to the 9th floor illegally and hope the security guard doesn’t see you. He only saw me while leaving and asked me what I was doing. I simply replied that I was just looking for the bar to enjoy a cold beer. He didn’t seem to care too much. If you want to discover the daily life of Asmara, head to the local market and watch a cycling competition which is the national sport of the country. 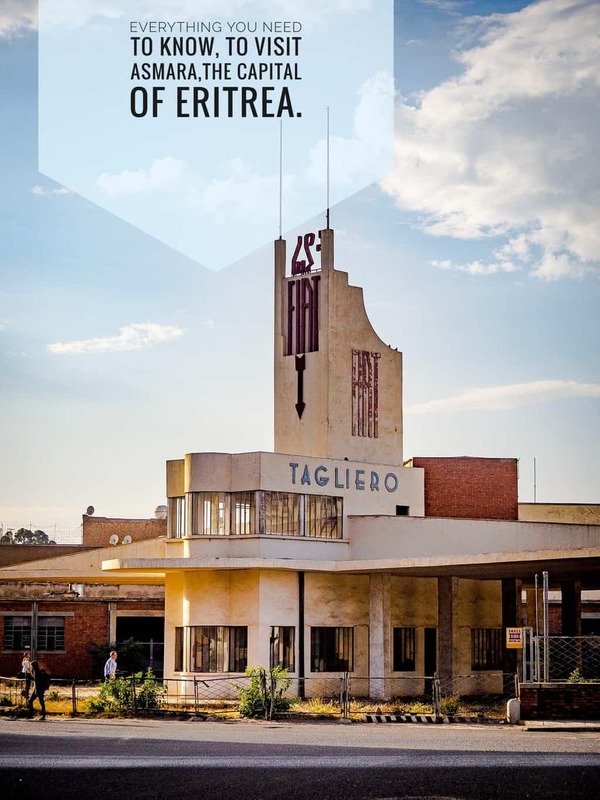 The only thing you can´t really do in Asmara and Eritrea is enjoying internet and wifi. According to Google, Eritrea is the world’s least connected country, where only 0.9% of residents have access to the internet. The internet in Eritrea is so slow that I wasn’t able to log into my Gmail for 10days. Posting a photo on facebook? Just forget it. So when in Asmara and Eritrea so will you actually have to be social, not online but in real life. The only way to reach Asmara is by flight to Asmara International Airport. There are international flights from, Cairo, Sudan, Dubai, Istanbul and Milan. The easiest way to get around Asmara is by foot, the city is almost flat, so it´s easy to walk around. There are Red Mercedes Benz buses running 10 routes around the city, a trip cost 5 Nakfa. The buses get extremely overcrowded. Foreigners will need to get a travel permit to leave Asmara to go anywhere in the country. Unfortunately, it is not a permit for the whole country because you will need a separate permit for every part of the country. The permits are obtained from the office of Ministry of Tourism and Information which is located across from the St. Joseph’s Cathedral. The permits are not issued on the spot (except for the Tank Graveyard Permit) and can take few days if not weeks to obtain. So if your planning to visit Eritrea and want to explore outside the capital, get in touch with one of the travel agencies in the country to help you sort out the permits before you arrive. The next hassle is foreigners are not allowed to use local transportation outside the capital. So you will have to hire a driver and a guide. Money is another hassle in Eritrea. There´s NO ATM´s in the country. So you will need to bring all the money you will need with you. USD is the currency to bring. On February 2017 the official rate 1 USD = 15 Nakfa. There´s a money changer at the airport and also at hotels. There are also a few official money changers at the main boulevard in Asmara. It´s important to keep the receipt if you are changing the money officially. If you change money at the official rate then Eritrea can be pretty expensive. To get a better rate, try black markets. The rate is much better but it´s strictly illegal. The black market rate in February 2017 was 1 USD = 25 Nafka. I changed most of my money on the black market without any problem, but be careful. It´s a serious offence in Eritrea. There are some things I never managed to get my head around in Eritrea. To buy a beer or a soft drink in the supermarket was A LOT more expensive than buying them in a bar or restaurant. A local Asmara Beer has priced 20 Nakfa in a bar or restaurant but would cost you 35 – 40 Nakfa in a supermarket. Similarly, a soft drink would cost 9 – 12 Nakfa in the bar or restaurant but 40 – 50 Nakfa in the supermarket. The most common food in Eritrea is Pizza and Pasta (No Joke), still some Italian influence here. A spaghetti bolognese would cost you from 100 – 200 Nakfa and a pizza from 140 – 300 Nakfa. There are NO hostels in Eritrea:) I stayed at Hotel Sunshine during my stay in Asmara. The cheapest room will cost you 70 USD a night, but it includes breakfast. Don´t expect your online booking through booking.com to have reached the hotel. I felt 100% safe all the time in Asmara and Eritrea. There was never any hassle with locals at all. There were a few beggars but they were not aggressive. Just be careful with what you say about the government to the locals. I got told later that a local person I had been talking with was actually a policeman dressed in civil clothes. Super cool never thought of going to Eritrea but it looks very peaceful and actually kinda reminds me of Cuba! super cool kinda reminds me of Cuba!! Wow, great pictures! I love learning about places I’ve never heard of. Glad to hear you had a good time in Asmara. BTW beer is more expensive in supermarkets b/c the Gov doesn’t allow the Beer Company to usually sell directly to the Supermarket. So they buy it first from the Bar and then sell it to the customer. Another reason why things Beer/Coke etc cost more in the supermarket is the Bottle Deposit Fee is included which can be ~20 Nakfa. I really enjoyed Asmara,it´s just such a shame that so much stuff was closed down. I’m glad you enjoyed Eritrea but calling it North Korea of Africa is a little offending ! I’m glad you Enjoyed a peaceful Eritrea, but calling it “North Korea” of Africa is a little offending and not true at all ,it’s a term from lazy journalists whos never visited Eritrea! I am glad you enjoyed your vacation in Asmara. 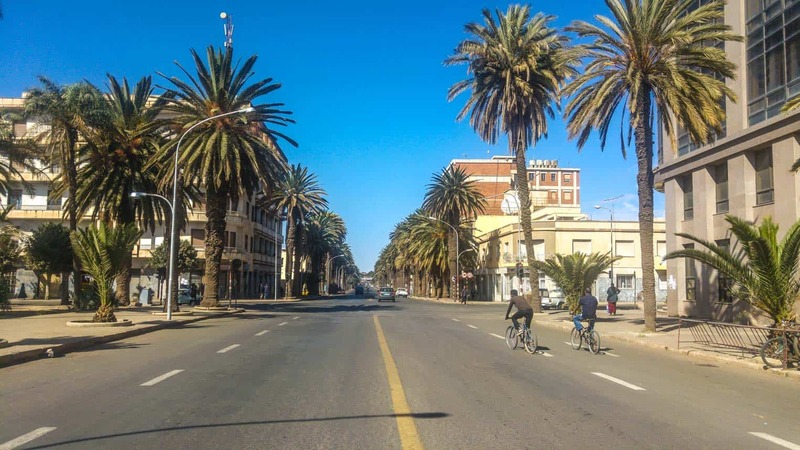 Most foreigners get surprised when they see Asmara how it is peaceful and charming than what they read in western newspaper which is mostly negative. As asmarino myself I am glad you have a good time. Wow wie schön,dass Sie da sehr gut erlebt haben. Aber als Eritreische schäme ich mich,dass das Land nur für Besucher so ist. Ich wünsche mir,dass meine Heimat für mich auch so wird.